Very confortable and recently restored. It is perfect for three. The house was comfortable and the upper terrace was great. All the necessary facilities and utensils were provided including the coffee, oil, salt and sugar. The house is located from the centre within a half an hour by metro. We could not hear any neighbours beside. All was clean and newly refurbished. The appartment was very clean and is newly refurbished. We were provided with all kitchen utensils, basic stuffs like teabag sugar salt etc and a lot of toiletries. Host was available at all time for any queries. Great view from rooftop balcony. Easy access to city centre from metro which is not that far. Clean, friendly host and air conditioning! + rooftop was great! Very clean place, beautiful view over the city and nearby a nice shopping area. It was an amazing place to stay. It was fully equipped and very clean. Excellent property and stay. Very clean and well organised. Host very accommodating and helpful. 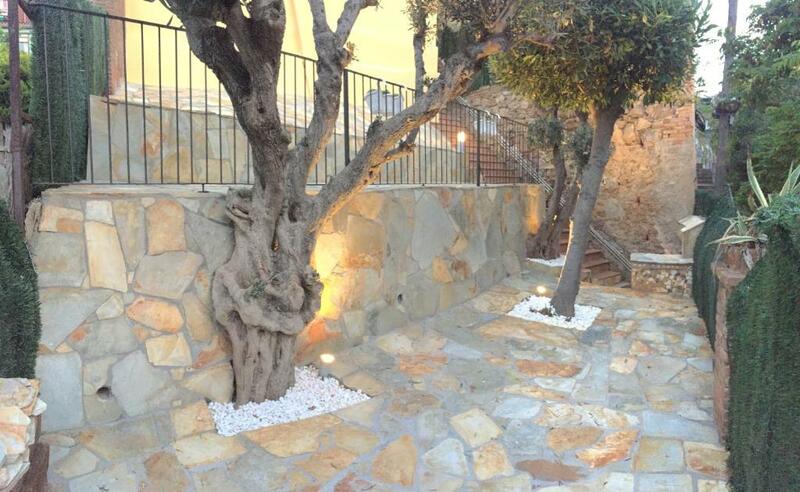 Fab facilities and outside areas. A szállásadók nagyon rugalmasak és segítőkészek voltak. Például a becsekkolás előtt engedték, hogy letegyük a bőröndjeinket. A szállás egy nagyon csendes és nyugodt környezetben helyezkedik el, és közel van a Güell parkhoz, Tömegközlekedéssel gyorsan el lehet jutni mindenhova. Szép a kilátás. La maison est vraiment bien, très propre et très confortable. Elle est également très bien équipée. Tout ce qui faut pour passer un excellent séjour. Lock in a great price for Horta's House – rated 8.9 by recent guests! 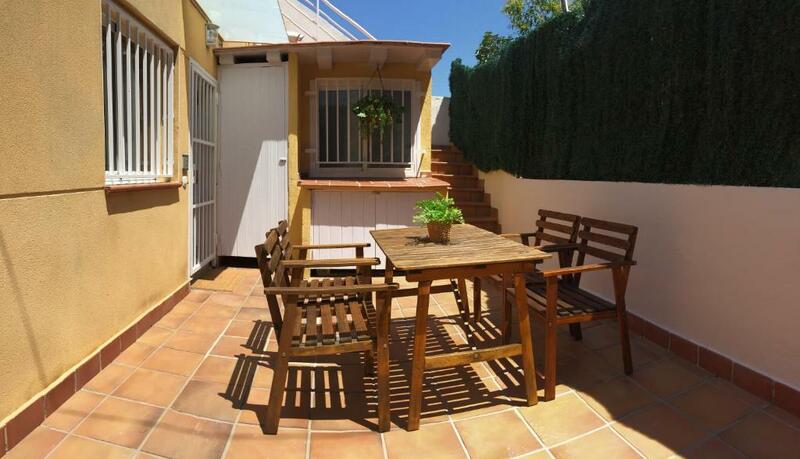 Featuring free WiFi throughout the property and a terrace with mountain and city views, House in Horta is a holiday home located in Barcelona, 0.7 mi from Park Güell. The unit is 1.6 mi from Sagrada Familia. This property has 1 double bedroom and 1 single bedroom with private bathroom. There is a seating area with double sofa bed, a kitchen complete and a solarium. A flat-screen TV is available. La Pedrera is 1.9 mi from House in Horta, while Tibidabo is 2.1 mi away. 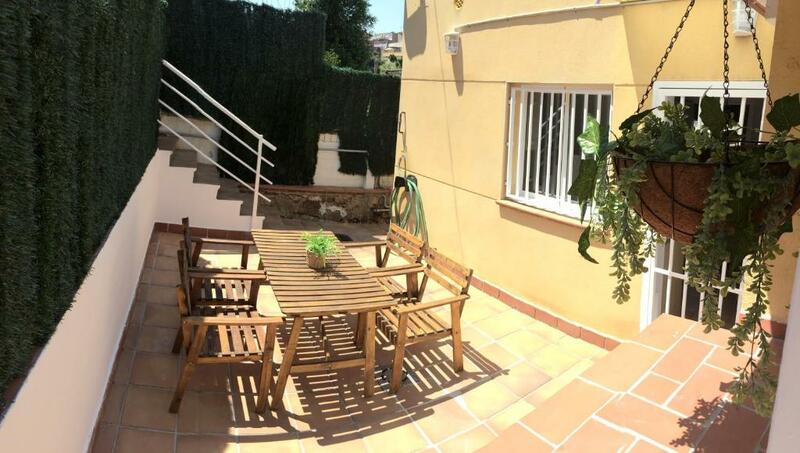 The nearest airport is Barcelona El Prat Airport, 9.9 mi from the property. When would you like to stay at Horta's House? This holiday home has a balcony, 1 double bedroom and 1 single bedroom with private bathroom. There is a seating area with double sofa bed and a kitchen complete with oven . It also features a terrace with mountain and city views and a solarium with deck chairs. 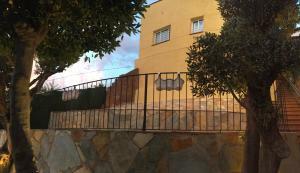 Horta es un barrio de toda la vida donde se puede encontrar todo lo necesario; supermercados, restaurantes, parques, monumentos, etc. House Rules Horta's House takes special requests – add in the next step! Please note this property can only be accessed by stairs. Please inform Horta's House of your expected arrival time in advance. You can use the Special Requests box when booking, or contact the property directly using the contact details in your confirmation. Its not too bad but it has a los of stairs. The neighborhood is a bit quiet. the house was pretty clean. The smell of the paint, since it has been recently painted. The location is a bit disgusting. There is an abandoned land opposite to the appartement where people throw rubbish and stuff which sometimes smells when walking to the main road. However there is no smell in the appartment.